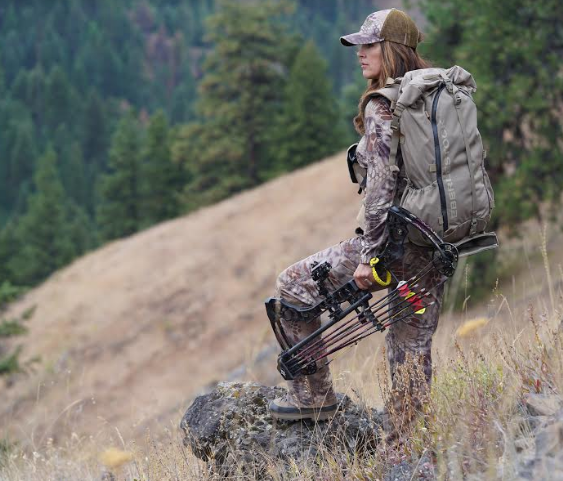 BOISE, Idaho - Eberlestock has announced it’s recent partnership with tv show host and conservationist Jana Waller of Skull Bound TV. Based in Boise, Idaho Eberlestock engineers and manufactures high performance backpacks and precision gear for the hunting, laws enforcement and tactical markets. "Eberlestock takes great pride in partnering with people who share similar values to our own. Jana Waller of Skull Bound TV exemplifies the things that we not only value, but are passionate about: public lands, conservation, ethical hunting, and carrying on the passion of hunting to our future generations. We could not be more excited to work together and welcome Skull Bound TV to the Eberlestock family." stated Austin Legg, Director of Marketing. Eberlestock was founded in 1985 by Glen Eberle, a former 1984 Biathlon Olympian and fighter pilot in the United States Air Force. Eberle reinvented the rifle system used for modern biathlon competitions, making it more durable and lightweight. His passion for hunting the rugged terrain of Idaho, coupled with his combat military experience naturally lead him to develop other innovative products like their hunting and military packs. “I couldn’t be more thrilled about working with a company like Eberlestock! Their reputation is impeccable and they engineer their products specifically for the backcountry hunter.” said Waller. “Prior to using Eberlestock, I had been working with a different pack company who is moving away from the western, backcountry hunter which is where my passion lies. You can obviously get away with a lot less when you’re simply walking into your back woods for a hunt. But when you depend on your pack in the mountains the way we do, to carry everything you need but to also pack out big game animals in an comfortable, efficient, safe way then you need a well engineered backpack system.” stated Waller. honored to be officially partnered with Eberlestock. It’s a no brainer.” claimed Kinsey. According to S.W.A.T. magazine, Eberlestock gear is in service all over the world with Special Forces, regular military and police units. Eberstock’s “secrets”, as typified but their ‘Big Trick’ pack, are to design a pack so items are easy to find, and make it easy to attach things to the outside of it. That ingenuity and ease can be life saving in those situations.